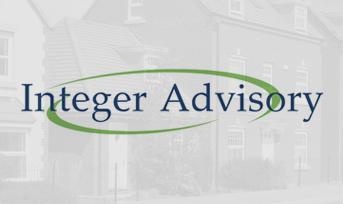 Integer Advisory is a financial and management consultancy which was established in 2013 specifically to meet the needs of the housing, health and local government sectors. Our consultancy team, is experienced, dynamic and highly commercial; we combine Audit Commission training with private sector business acumen and a commitment to the ethos and objectives of the social housing sector. These skills and experience equip us to deliver our key services to a growing client base – Assurance, Growth and Innovation. Traditional forms of assurance may no longer be adequate as Providers come to terms with increasing risk and the HCA’s new Regulatory Framework. Integer Advisory works with Executives and Boards to offer value-based assurance which enables effective governance and decision making, and gives Boards the confidence to certify compliance with the Framework. Delivering growth is a key objective for many of our RP clients; growth can deliver resilience, improved value for money and services for tenants. Growth can also be risky. Integer Advisory intuitively recognises the trade-off between risk and reward, and helps our clients to deliver growth – whether through merger or organic growth. Increasing the number of new homes and helping our clients grow is a core feature of our business. Economic conditions mean that Providers are increasingly driven to innovate – to do more with less. We help our clients to innovate, through new funding structures, joint ventures and innovative models of service delivery. Integer Advisory also helps our clients to deliver innovation through reconfiguration of services – enabling the housing, health and local government sectors to work together to improve outcomes. The Integer Advisory consultancy team focusses on the housing, health and local government sectors; each of these faces similar pressures on funding, demand for services and risk management, and often works with common client groups. Integer Advisory helps our clients to leverage the synergies between the housing, health and local government sectors, bringing together commissioners and providers to invest in facilities and improve services. Our Manchester City Centre office places Integer Advisory at the heart of the move towards devolution of local services across Greater Manchester.